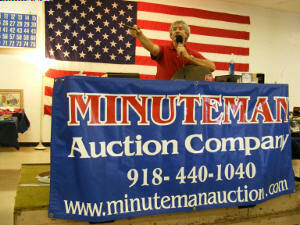 Welcome to Minuteman Auction Company! To see the Auction clip again; right click on the clip for menu. Click play for each additional time you want to see the clip. 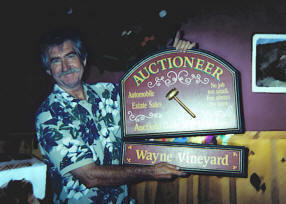 ~ Evaluate your estate and inventory items to be sold. ~ Schedule your auction and proceed with advertising that includes flyers, newspaper ads, mailing list, web presence, and more. ~ Provide set up of the auction that includes a professional display to show your valuables in the best possible setting, on your location or ours. ~ Full professional auction-day staff. If you are the executor of an estate and you don’t know where to begin, if you are retiring or downsizing your house, or if you have a business you need to liquidate, call us. We will be happy to talk with you about you options and help you make the best possible decision for your situation.